PETOL I-beam designed STRIKING WRENCHES feature greater handle strength and the clearance in overall head diameter that is necessary when working with flange connections. 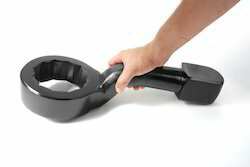 We are one of the leading In house manufactures and exporters of Slugging Wrench Ring End. Our range of Slugging Wrenches are usedd in various industries in different applications. 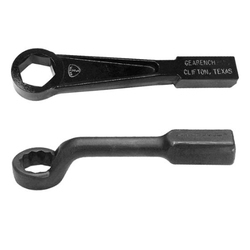 These slugging wrenches are used for heavy maintenance and assembly. We introduce our business as a notable entity of qualitative array of Slugging Wrenches. - Jaw Capacity - Nuts Bolts upto 1.1/4" , - Pipes - 3/8" to 1.1/4"
In order to keep pace with never ending demands of clients, our company offers Slugging Wrench.